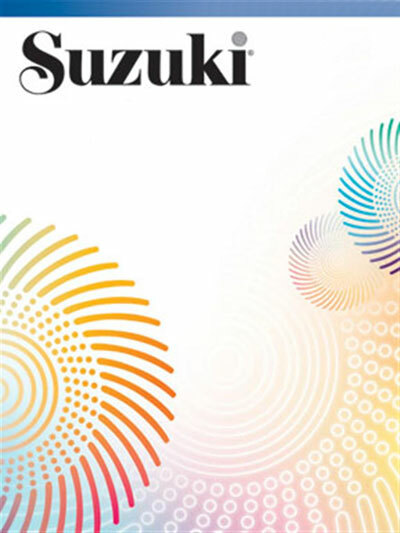 Prepared and edited by Rick Mooney, a well-known Suzuki teacher, teacher-trainer, and member of the Suzuki Cello Committee, these books contain harmony parts to go with many of the pieces in the Suzuki Cello School, Volumes 1, 2, 3, and 4. All of these pieces have been arranged to resemble, as much as possible, the existing piano accompaniments. These ensembles enable a cello teacher (who does not play or have access to a piano) to play harmony parts with students to prepare them for the time when a piano and pianist are available. These parts also provide additional challenges for the more advanced player during a group lesson. Volume 1 contents are: Twinkle, Twinkle, Little Star Theme and Variations (Shinichi Suzuki) * French Folk Song (Folk Song) * Song of the Wind (Folk Song) * Go Tell Aunt Rhody (Folk Song) * O Come, Little Children (Folk Song) * May Song (Folk Song) * Allegro (Shinichi Suzuki) * Perpetual Motion (Shinichi Suzuki) * Long, Long Ago (T.H. Bayly) * Andantino (F.J. Gossec) * Rigadoon (H. Purcell) * Etude (Shinichi Suzuki) * Minuet in C, No. 11 in G Major from Notebook for Anna Magdalena Bach (J.S. Bach) * Maytime (cello duet), Komm Lieber Mai from Sehnsucht nach dem Frühlinge, K. 596 (W.A. Mozart) * Maytime (cello quartet) (W.A. Mozart) * Minuet No. 2 from Minuet in G Major, BWV 116 (J.S. Bach).